Call 503-290-6107, e-mail Wendy or schedule a free 20-minute consultation online. You appear to be taking the awesome and courageous step of looking for a therapist. I’d love to help. I started Live, Grow, Transform as a way to help the folks I most love to work with: Brave, resilient people who want to find balance and move toward a better life (hint: that’s you). I bring affirmation, warmth and humor as a way to create a comfortable space for you to feel welcomed exactly as you are. I believe growth is only possible when we are fully accepted by another person we trust. Over the course of my career I’ve had the honor of helping hundreds of people through a wide variety of transitions. I would love to help you too. 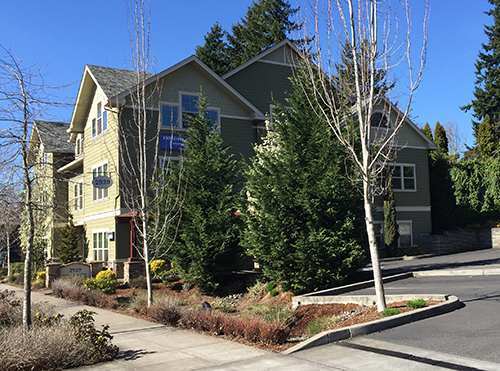 My office is in Multnomah Village, within 20 minutes of most of Portland, Tigard, Beaverton, Lake Oswego and surrounding areas. My building is right off I-5, and I’m also on the bus line (44-Capitol Hwy or 45-Garden Home). There is a parking lot, as well as street parking. I’m on the 2nd floor via elevator or stairs. There’s a quiet waiting area with cool water, magazines and comfy chairs. I come get you at your appointment time. Easy to find, easy to land.